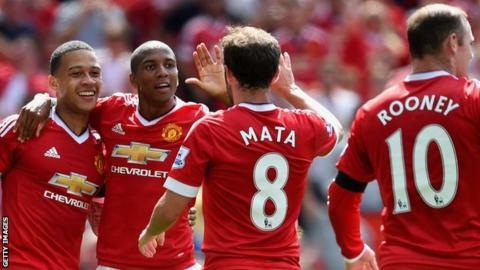 BBC Radio 5 live will be streaming live commentary of Manchester United's Champions League matches online this season after being granted the rights for the first time. Starting with Tuesday's play-off first leg against Club Brugge, 5 live will be on air from 18:30 BST to bring you all the build-up before full commentary both online and on the radio. Commentary will be more accessible than ever before, with online rights covering all English clubs in the competition. Louis van Gaal, who became United boss in May 2014, is looking to guide the club back into Europe's elite club competition for the first time since 2013-14. And, with Mark Chapman presenting from Old Trafford, you can hear all the build-up, analysis, the best from social media and debate before live coverage of the match from 19:45 BST.